More time for your patients ! OptaMed is a billing software for therapists. Designed for the new 590 Pricing, it will save you time and energy for your patients. Your time is precious! 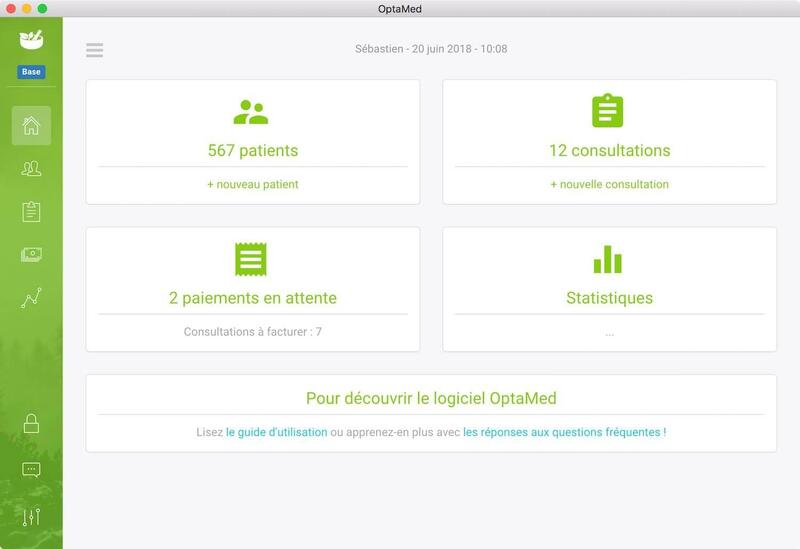 OptaMed simplifies the administrative tasks and makes the management of the tariff 590 transparent, allowing you to devote yourself fully to your patients. In partnership with the APTN (Association of Practitioners in Natural Therapies), we are committed to supporting you in your transition to the new 590 rate. 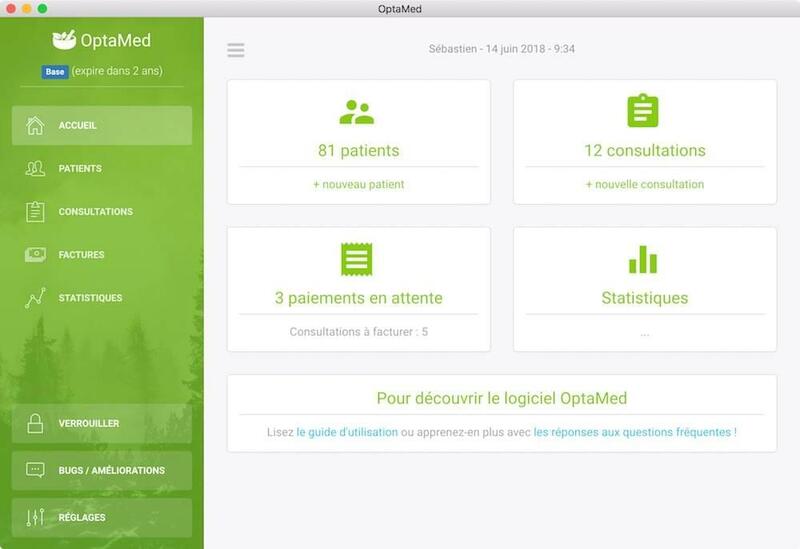 Developed in close collaboration with several therapists, OptaMed is a solution adapted to your daily needs. In constant contact with our customers, we listen to your needs and constantly develop our software. A memorization of your services "favorites", data saved by default: tariff 590 will seem simple. Simply group several consultations of the same patient on a single invoice. In order to meet your concrete needs, we are in permanent contact with many therapists. Write a history to follow up with your patients between consultations. Our software and invoices are certified and recognized by insurance companies for rate 590. OptaMed is a software that is installed on your computer. It is not necessary to have an internet connection or WiFi for it to work. All your data are stored on your computer in a secure way. They are not sent to our servers under any circumstances. It is available in French, German, English and Italian. 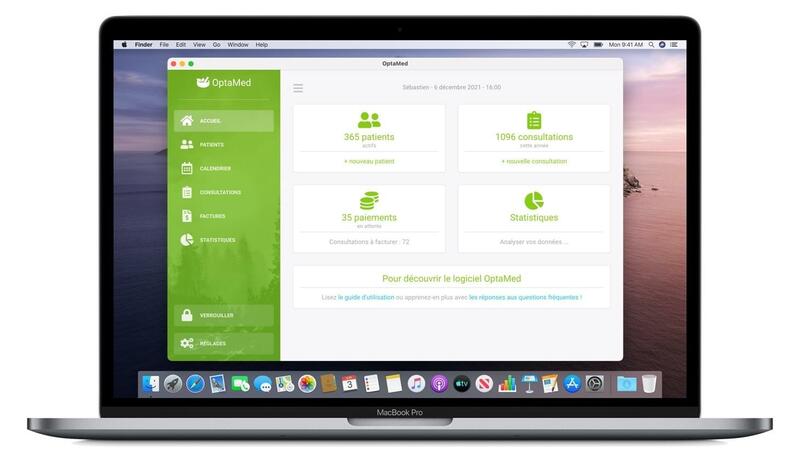 OptaMed works with macOS, Windows and Linux. Your data is encrypted and remains on your computer. Our servers are hosted in Switzerland. With updates, new features and support included, you have no additional costs! With a modern and intuitive interface. One-click installation on Windows, macOS and Linux. In contact with an acupuncture therapist from the Friborg region, Sébastien Goumaz developed, at his request, a "program" to facilitate the management of his patients and billing. Having learned about this work, APTN, in search of an effective solution for its members, showed its interest for the development of a simple and powerful software corresponding to the new requirements of the tariff 590. In May 2017, a partnership has been set up. Following this partnership, two developers joined the project to design the application that is available since September 1, 2017. The company OptaMed is born in June 2017 and launches the software of the same name on October 1st of the same year. We wish to be close to you. Your questions, your comments, your proposals are welcome. Send us a message with your details; we will answer you with great pleasure. We operate with an annual licensing system that includes email support and application updates with new features. Our licenses are not automatically renewed, so you keep control of your subscription. Try for free for 2 months! * Demo version usable for free for two months. * Price for 2 therapists. 100 CHF for each additional therapist. The demo version allows you to install and test the software with the following limitations. The invoices are not valid and are printed with a "demonstration" watermark. Exporting data (in .csv format for Excel), sending invoices by email and restoring backups is disabled. Optional modules are offered in addition to the BASE and CABINET licenses. They allow to go further in the automation and customization of the software. Automatically and securely backup your OptaMed data on our servers.